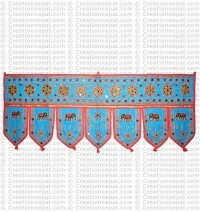 Creation Nepal offers handmade fabric 100% cotton colorful with glittering mirrors hanging lampshades called JHUMAR and doors deco. 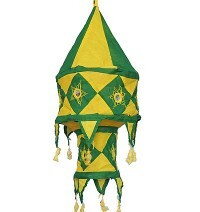 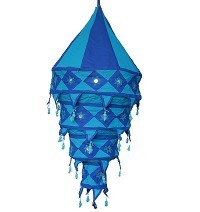 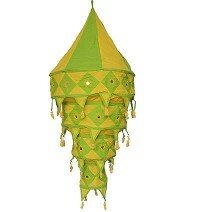 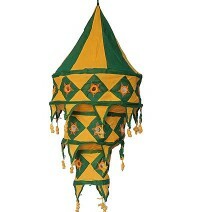 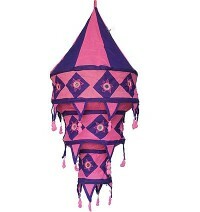 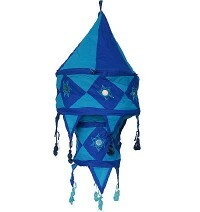 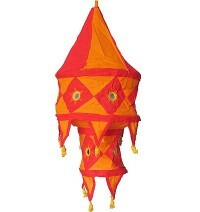 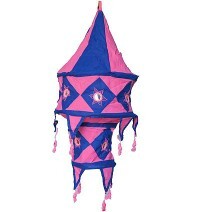 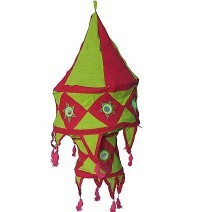 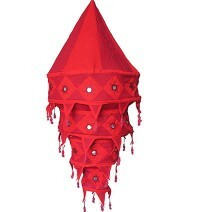 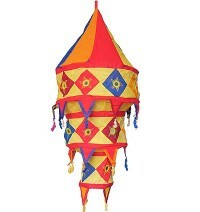 This is a kind of Indian style appliqué work lampshade that provides a soft light and creates warm feelings. 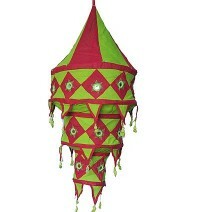 This can also be used as tribal style decorative to bring an ethnic feeling at homes and restaurants. 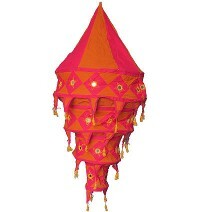 Since these jhumar (lamp shades) are entirely handcrafted, there will be small variations in color and sizing and the measurements are approximate. 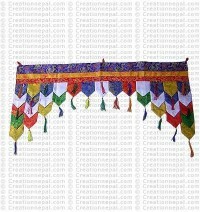 All of these items are unique, hand made and available in different colors and designs. 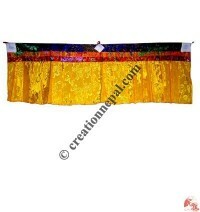 Besides the cotton fabric with glittering mirrors door deco, we also have Tibetan style colorful silk fabric door deco called "SAMBO" in Tibetan.